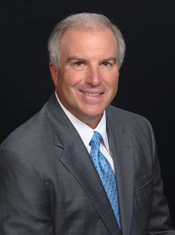 Roger Davis is a Financial Advisor specializing in Financial Services. He joined the SouthEast team with over 25 years of investment management experience working as a Financial Consultant with several local financial institutions. Roger's focus is advising on the development and implementation of investment strategies to help clients meet their immediate and future goals. He follows a disciplined process of assessing a client's financial situation, determining risk tolerance, forming and executing and appropriate investment plan, and regular portfolio rebalancing in order to obtain measurable results. He also consults on risk management, retirement planning, estate planning, and other critical financial strategies. Roger has earned the professional designation of Charter Retirement Planning Counselor. A native of Knoxville, he earned an MBA at the University of Tennessee Chattanooga and a Bachelor of Science in Finance at the University of Tennessee Knoxville. Advisory services offered through WMG Financial Advisor, LLC, a Registered Investment Advisor. Securities offered through ProEquities, Inc., a Registered Broker/Dealer, member FINRA and SIPC . SouthEast Wealth Management, WMG Financial Advisors, and ProEquities are independent of each other. Roger is licensed to discuss and/or transact securities business with residents of AL, CA, FL, GA, ME, PA, TN, and WA.